Carlisle Cullen (also known as Stregone Benefice is Esme’s husband and Edward, Rosalie, Emmett, Alice, and Jasper’s adoptive father. His first appearance was in Twilight and his physical age is 23. 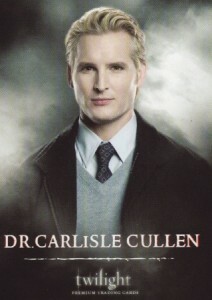 Carlisle is described to look like a model; he has blond hair, and is slender but muscular. Carlisle theorizes that when a human is turned into a vampire, they will have an enhanced ability from their previous life. He believes he brought compassion from his human life. 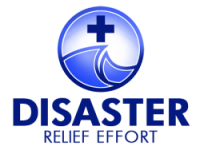 Carlisle has had centuries to perfect his medicinal talents, therefore making him an excellent doctor. Unlike most vampires, he is not at all tempted by the scent of human blood, due to the over 300 years he has spent holding back his temptations. Carlisle Cullen was the son of an Anglican pastor, born in 1640s London, England, during a time of religious upheaval. His father and other pastors hunted creatures such as witches, werewolves, and vampires, often mistaking humans for them. As his father grew older, Carlisle assumed his role. One night, he was attacked by a vampire and left to die on the streets. Knowing he would be rejected by society, he hid himself and silently endured the painful transformation, emerging as a vampire. Horrified by what he had become, he tried killing himself many different ways, but all failed due to his power. One night, unable to endure hunger any longer, he fed on some passing deer. Subsequently realizing he could avoid feeding on humans, he committed himself to resisting his blood lust and to becoming a doctor. For a short time, Carlisle lived with the Volturi, though he eventually left and traveled to the New World. While treating patients with the Spanish Influenza, he met an ill woman who begged him to save her dying son, Edward. Out of loneliness, Carlisle transformed Edward into a vampire, and Edward became his companion. Soon after, in 1921, Carlisle moved to Wisconsin where he treated Esme after her failed suicide attempt brought on by her infant son’s death. Carlisle felt compelled to save her and transformed her into a vampire, subsequently falling in love with her, and later marrying her. Carlisle then transformed Rosalie Hale, a young woman nearly killed by her drunken fiancé and his friends in Rochester, New York, and left in the street to die. Later, while hunting, Rosalie found a young man named Emmett who had been mauled by a bear, and carried him over 100 miles to Carlisle. Carlisle then transformed Emmett, since Rosalie was unwilling to do it herself, fearing her blood lust would overwhelm her. After Carlisle changed Emmett, Carlisle and his family moved to Hoquiam, Washington where the Quileute Native American tribe offered the Cullens a treaty: the Quileutes would leave them alone if the Cullen family never attacked any humans or trespassed on Quileute land. The Cullens agreed and lived in relative peace until they had to move on. Between the Cullens’ first and second stay in Washington, Alice and Jasper joined his coven as well, having found Carlisle on their own. Throughout the Twilight saga, Carlisle works as a doctor, acting as the coven leader and offering medical advice and help when Bella is pregnant in Breaking Dawn. Forbes magazine claimed in its 2009 Fictional 15 list of the wealthiest fictional characters that Carlisle is the richest of them all, using 370 years of compound interest and timely investments to amass an estimated fortune of $34.5 billion.